Ask any hip-hop aficionado who is on their list of Top 5 rappers of all time and you'd be hard pressed to find someone who doesn't put Nasir Jones, better known as Nas, on their list. The 45-year-old Queens, New York native has sold millions of records during his career. His debut album Illmatic is widely regarded as one of the greatest albums in the history of hip-hop. While Nas has been largely successful in the music business, he is looking to bring that same success to his investment portfolio. And it's not just some tiny amateur investment portfolio. Nas has somewhat secretly built a massive venture capital tech investment empire. Nas is a founding member of QueensBridge Venture Partners (named after his hometown of Queensbridge), a tech venture capital fund. Nas says that he looked to get involved in investing ever since he first heard the word "investment" in school. "You invest your time, you can invest money and it was just a matter of time before it all fell into place for me. That's one of the things that I thought a lot about as a young kid — the guys behind the scenes who make things happen, help build people up, make dreams come true." Nas went on to say that he wanted to get into tech investing because he wanted "to be surrounded by the smartest people in the world, and didn't want to limit that to just music." 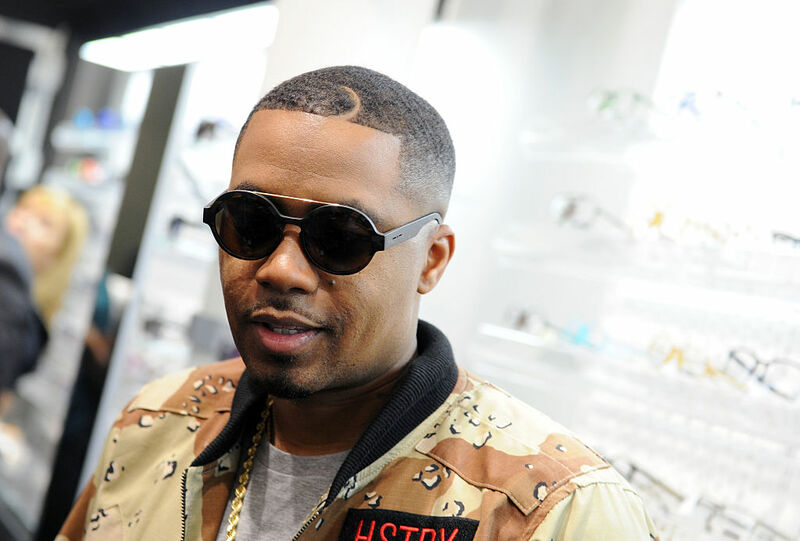 One of Nas' earliest forays into the business world happened in 2013 when he made a six-figure investment in a defunct brand called "Mass Appeal." Along with a capital injection from investment firm White Owl Partners, Mass Appeal was resurrected from a dead brand to one that today operates a quarterly print publication, creative agency, a digital video production company and documentary production company. In 2014 Mass Appeal launched a record company that, appropriate, released Nas' album Nassir in 2018. Mass Appeal's success opened doors for the rapper at some of New York City and Silicon Valley's largest investment companies. One of those firms was Andreesen Horowitz. The firm's co-founder Ben Horowitz bonded with Nas over a shared love of hip hop and a investing. It was Ben who encouraged Nas to open his own VC firm. That's how QueensBridge Venture Partners was born. In the beginning, QueensBridge sourced most of its deals through Andreesen Horowitz. For example, when Andreesen was taking a stake in a company like Lyft, QueensBridge would be allocated a slice of its shares. Andreesen scouted deals that left Nas with small stakes in dozens of companies that are household names today. For example Coinbase and Genius. Today QueensBridge doesn't need Andreesen Horowitz to scout ideas, though I'm sure they don't mind a good tip now and then. With their own independent track record of success, QueensBridge fields around one hundred funding pitches every month, with only a tiny handful actually receiving money. As of this writing, the firm has made more than 60 substantial investments (that we know of) in industries ranging from finance tech, to health care to music production. The firm's typical investment size ranges from $100,000 to $500,000. And it appears that QueensBridge's selective nature has paid off. Some of QueensBridge's biggest hit investments include Dropbox, Ring, Parachute, SeatGeek, General Assembly, Robinhood, Casper, Pillpack and Pluto TV. In February 2018, Amazon bought Ring for $1.1 billion. In April 2018, WalMart acquired Pillpack for an undisclosed amount reported to be "just under $1 billion". In January 2019 Viacom purchased Pluto TV for $340 million. When you combine Nas' Ring and Pillpack exits with his Hennessy endorsement deal and 40 concerts, his 2018 earnings topped $35 million. That number enabled Nas to rank as one of the 10 highest-paid rappers in the world for the first time in his career, believe it or not. "People. That is the absolute No. 1. I love to bet on great people that inspire me and make me think or see things differently." Wise words to live and invest by! Congrats to Nas on all his success. Something tells me we're going to be reporting on his wins for years to come! The buyout is only the latest investment success for Nas. In 2018, two companies invested in by his own QueensBridge Venture Partners were also sold for big bucks. Nas' tech investments have helped him earn a LOT of money over the past year. Nas is avoiding jail time by opting to pay the IRS a decent chunk of change for taxes he failed to pay almost a decade ago.